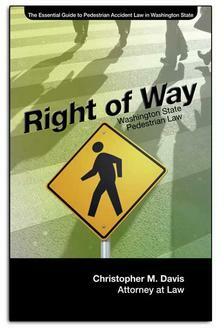 How Does Washington Law Address Pedestrian Countdown Timers? 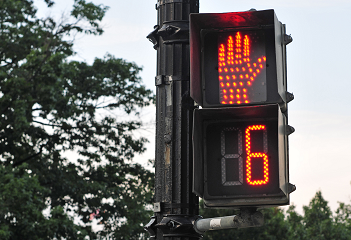 Pedestrian countdown timers are becoming more common in Seattle and throughout the state of Washington. In fact, these devices are becoming more prevalent just about everywhere in the country, as municipalities look for additional ways to improve safety and reduce the rate of serious pedestrian accidents. Local, county, and state governments are terrible at explaining how new devices like these will affect the average person. Surely you've wondered to yourself if the pedestrian countdown timers are there to tell you how much time you have to cross the street. So is it legal to race across the street as long as the timer has not yet reached zero? Technically speaking, as soon as the "Don't Walk" symbol begins to flash, it is no longer lawful to leave the curb and begin crossing. After the flashing "don't walk," a solid "don't walk" is displayed on the signal at the same time the traffic signal turns amber for vehicles. The transportation department figures the amber light should be long enough for vehicles to clear the intersection, or for motorists to complete a turn without competing with pedestrians in a crosswalk.